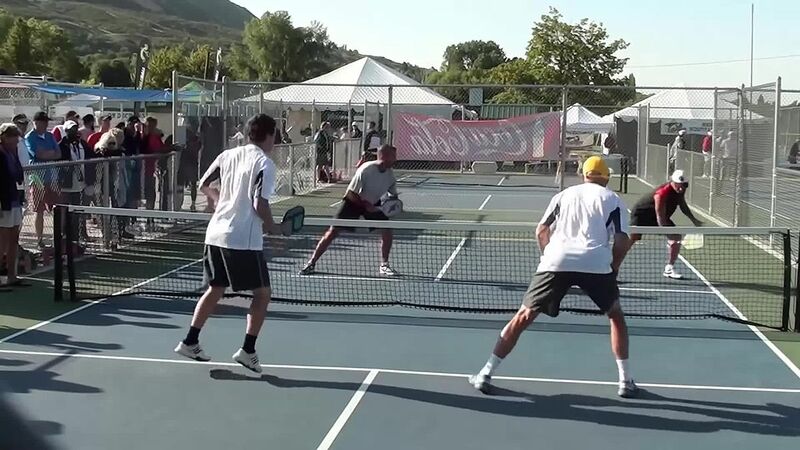 If you haven’t heard of pickleball yet, don’t worry — you will. 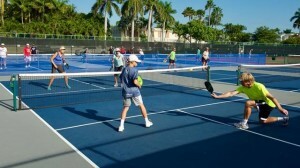 Pickleball is the result of what comes from mixing badminton, court and table tennis together. 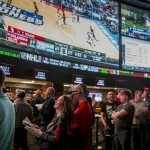 It may have a funny-sounding name, but there’s no question as to its legitimacy as a sport. 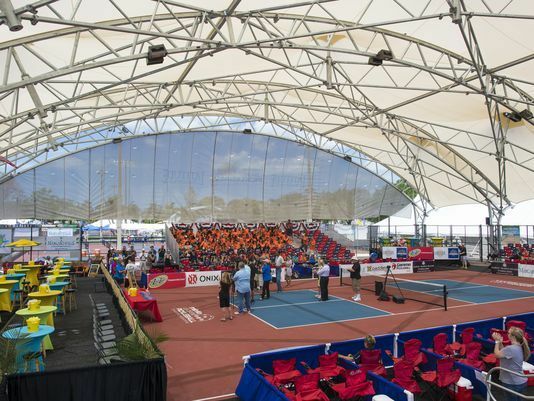 There are over 15,000 courts in the United States and over 2.5 million participants of the sport in the United States. Unlike many other popular sports, pickleball has participants spanning all ages, career paths and stages of life — including high school teenagers in their physical education classes to aged citizens in retirement locations. Tennis, racquetball and ping pong players are all attracted to the game, its competitive nature and the social aspect it inspires. 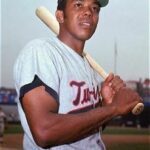 The first ball was struck by the first paddle over the first net in the summer of 1965 on Bainbridge Island, Washington, at the home of Joel Pritchard. Mr. Pritchard, at the time, serving as State Representative and later on as Lieutenant Governor of Washington, and his friends Bill Bell and Barney McCallum returned from their game of golf to discover a house full of bored family members. They attempted to start a rousing game of badminton for everyone but the shuttlecock was nowhere to be found so they improvised with a whiffle ball. Due to the size and weight of the ball, they lowered the net and cobbled together paddles from plywood materials they found from a nearby shed. 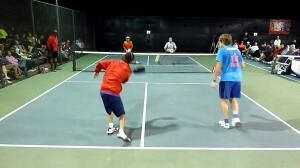 After one game turned into a dozen and friends were introduced to the family sport, the name Pickleball was chosen due to the term used for the boats that return with their catch – “pickle boat.” The Pritchard family would later get a dog and name him Pickles, which would begin the legend of the name of the sport. Anywhere from two, three or four players take solid paddles and use them to strike a polymer ball with holes over a net. 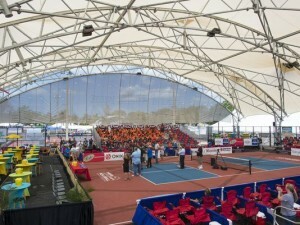 The dimensions and layout of the playing field are similar to that of a badminton court, with rules similar to tennis but with a few modifications. Only the serving team can score points, and it’s played to 11 — however, a team must win by two. When the game first began, the paddles were made from wood only, but with the popularity of the game increasing, the paddles are now made from lightweight composite materials like aluminum and graphite. The ball for Pickleball has holes through it similar to a whiffle ball, but different ball models are used for indoor and outdoor use and come in several colors including white, yellow and green. The game, while growing popularity and legitimacy, still retains its small town, indie feel. In 2016 the Pickleball U.S. Open was only watched by 20 people in the stands, but this was due to extreme heat weather and not the popularity of the game. As soon as measures were taken to protect fans in the stands, the audience at the 2017 US Open swelled to 200 attendees at every match. If you’re a beginner to the game, you’re quickly learning the allure, if you’re trying it out for the first time, just start playing and the fun will infect you quickly. 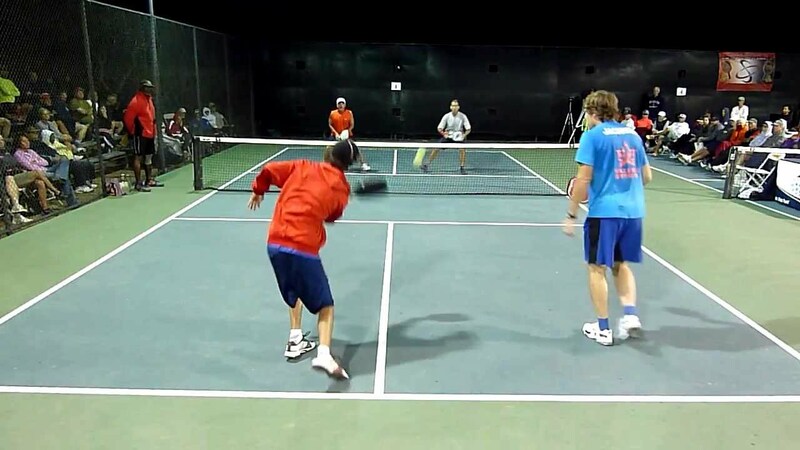 Anyone can play with any opponent — making pickleball not only an excellent athletic experience, but also great for forging new friendships and for multi-generational families to bond over.